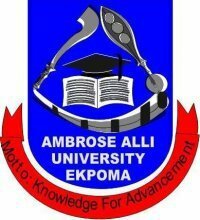 Ambrose Alli University, AAU Ekpoma Post-UTME result for the 2017/2018 academic session is out. The scores of AAU Ekpoma Post-UTME screening for the 2017/18 admission has been uploaded to the University website for checking. The released results, are of the Post-UTME screening exercise held for the various faculties from Monday, 11th September, 2017 to Saturday, 16th September, 2017. All candidates should follow instructions highlighted below to check their scores. 2. Enter your username and password in the spaces provided for them. Print out the Post-UTME result. You might also want to make photocopies for future use.